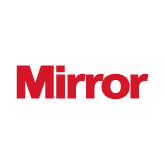 Sunday’s Great North Run (7th September 2014), provided a great opportunity for the Mirror to gain invaluable brand recognition on a mass scale. Although the Mirror is already a well established business, sponsoring a popular event like the Great North Run can help to raise further awareness amongst everyone that attended. The focus of the event has always been to promote a family friendly atmosphere, and has managed to avoid any controversial issues successfully. There are, therefore, obvious advantages for being an official, commercial partner of the race, such as positive brand recognition. This success would then hopefully lead to an increase in sales for the Mirror. EventBeat, the social signage group, worked alongside the Mirror to provide a twitter wall on a number of large LED screens at alternative intervals throughout the course. By using the hashtag #GNRshoutout, supporters and people watching on television could post comments and images with messages, publicly backing the runners and the overall event. There were 388 uses of #GNRshoutout on Twitter for the duration of the day; mostly containing inspirational words aimed towards the competitors and organisers of the event. Before, during, and after the show, EventBeat monitored #GNRshoutout and other substitute keywords, to ensure they were carefully moderated and curated ahead of being broadcasted onto the LED screens. Every 10 minutes, a branded promotional video for the Mirror was broadcasted onto the screens. There were also 3 separate, internal advertisements promoting the brand which were presented at 30 second intervals for a period of 12 seconds. Another technique that was adopted by the Mirror was to create and distribute foam hands that were shaped like runner’s feet. The purpose of sharing these novel souvenirs was to increase the spread of awareness that the company was receiving throughout the day, as well as showing support for the overall event itself. With a reported 56,000 participants taking part in the Great North Run, the Mirror gains a lot of exposure as their signs are easily accessible and viewed by the majority of people there, including members of the crowd.